A refined global style defines this bedroom collection. 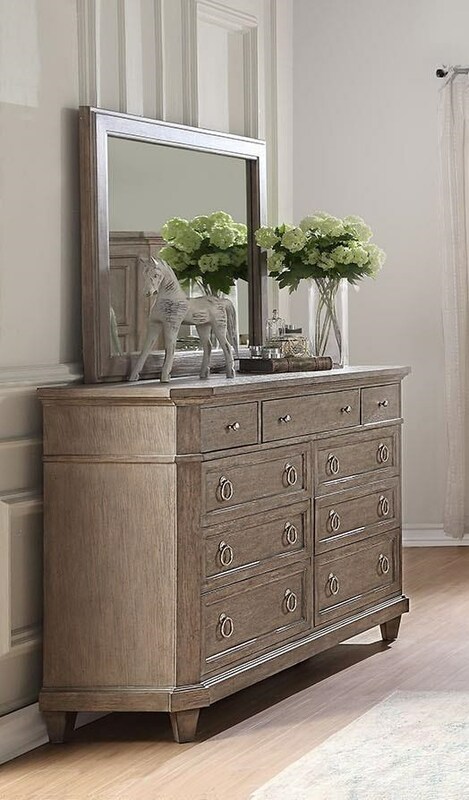 The extra-wide dresser & mirror set offers ample storage, and a Seadrift finish on the wood adds a sun-drenched look. The Newport Dresser & Mirror Set by Home Insights at Great American Home Store in the Memphis, TN, Southaven, MS area. Product availability may vary. Contact us for the most current availability on this product.